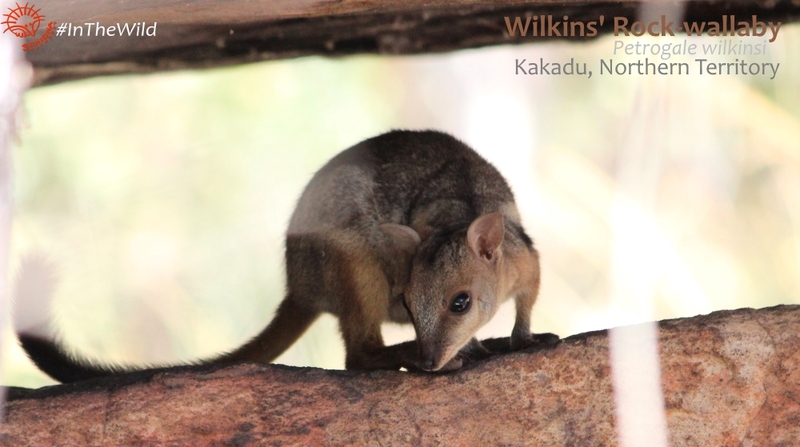 Ubirr Rock Art Site in Kakadu National Park is an excellent site to see beautiful little Wilkins’ Rock-wallabies (Petrogale wilkinsi). They have become accustomed to seeing people walk by all day, so the wallabies go about their business without fear. Of course, most of the people that walk by don’t see the wallabies in their shady overhangs. We have watched them mating under a rock overhang (see video above). 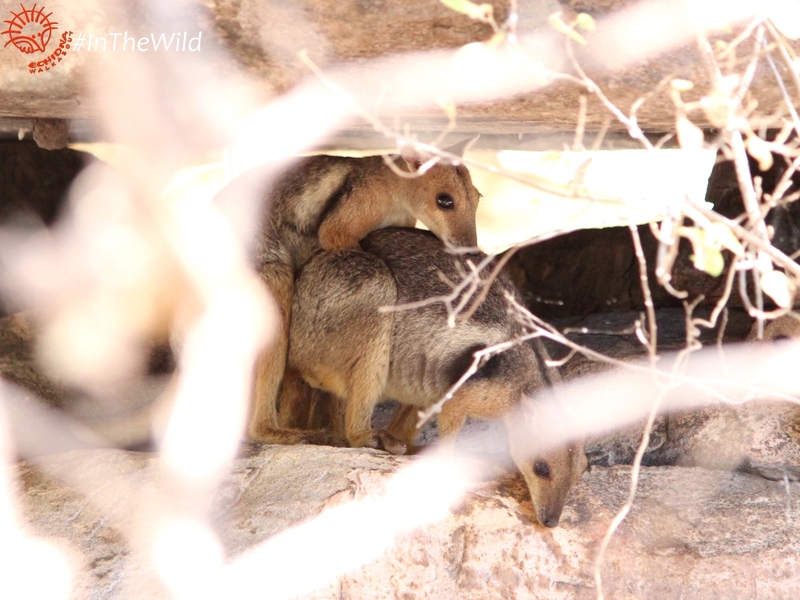 On a recent trip we saw 5 rock-wallabies in and around one rock overhang. There was lots of interaction between the individuals. Studies show that males do not share den sites, so the group must have been mostly females and young. We have also watched them feeding in a rock crevice. The fresh leaves that fall from trees overhead were grabbed and devoured. This could just be opportunistic feeding, as most feeding apparently occurs at night when they come out of the rocks and onto the surrounding flat woodland. Studies show them to eat grass, other small flowering plants, and leaves of trees. 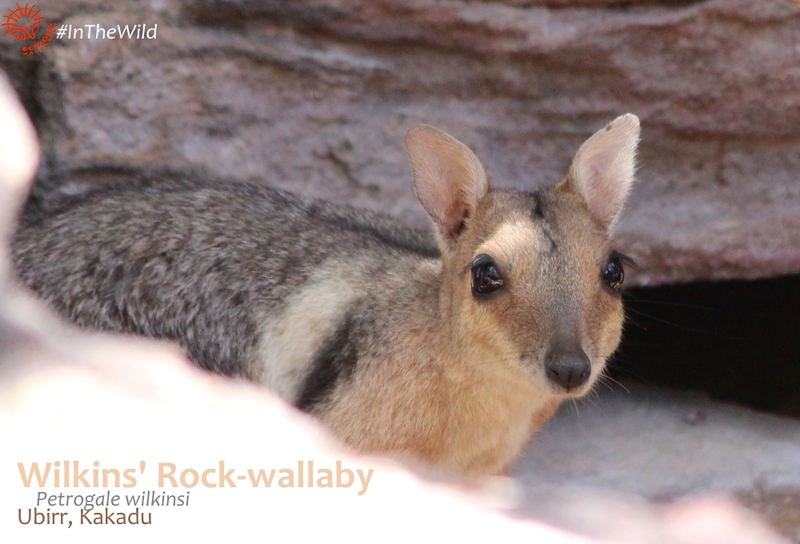 The Wilkins’ Rock-wallaby or Eastern Short-eared Rock-wallaby was only discovered to be a separate species in 2014. Long considered to be Short-eared Rock-wallabies (Petrogale brachyotis), they were shown to be smaller and more brightly-coloured than their Kimberley cousins. Though there are now several studies about the Short-eared Rock-wallaby group, most of these concentrate on basics of their biology – what they eat, how they use their habitat. The Wikipedia article on Wilkin’s Rock-wallaby is a stub of three lines, and the long-known Short-eared Rock-wallaby is described in seven lines and four references. This shows the importance of photographing and documenting what these animals are doing. Hundreds of regular tourists see these wallabies every year, and some probably see behaviour that is undocumented by science. The benefit of going on our Maximum Wildlife tour is that your Wildlife Guide will take notice of the rock-wallabies, record and document their presence and behaviour, and submit the sighting to the CSIRO Atlas of Living Australia. 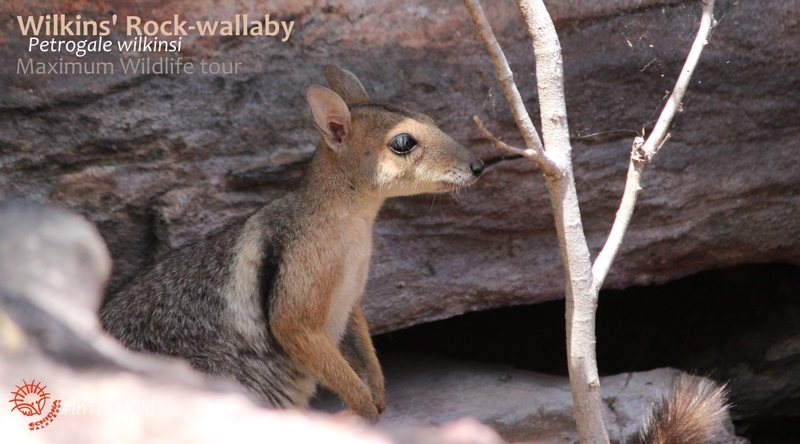 To see these beautiful rock-wallabies and help contribute to understanding them join our Maximum Wildlife 21 day tour North & South. Read about other kangaroos we see on this tour.